Transient receptor potential or TRP families of ion channels demonstrate great diversity in activation and inhibition, and they are diverse in selectivity of ion conductance. TRP ion channels function as signal integrators through their ion conductance properties, and in some cases kinase activity. They mediate processes such as vision, taste, olfaction, hearing, touch, and thermo- and osmosensation. TRP cation channels function by mediating the flux of Na+ and Ca2+ across the plasma membrane and into the cytoplasm. The influx of cations into the cytoplasm depolarizes cells and is necessary for action potentials in excitable cells such as neurons. In non-excitable cells, membrane depolarization by TRP ) and-channels stimulates voltage- dependent channels (Ca2+, K+, Cl- influences many cellular events, such as transcription, translation, contraction, and migration. TRP channels are important in human physiology, and mutations in TRP genes are associated with at least four diseases. 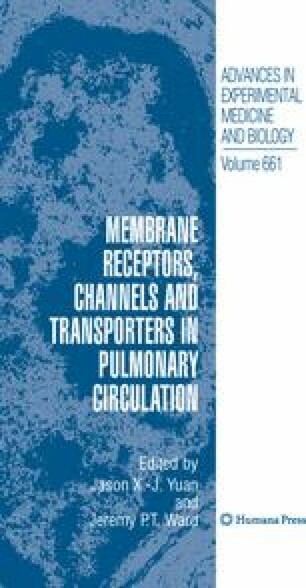 Furthermore, altered expression, function, and/or regulation of TRP channels have been implicated in diseases such as pulmonary hypertension.